“Why should I buy noise-canceling earbuds when I can just make do with ordinary ones?” This is a question many people ask themselves when they shop around and see noise-canceling earbuds, which are admittedly more expensive than traditional products. These cutting-edge earbuds are not for everybody but, if you deal with a lot of noise on a regular basis, you’ll want to look at investing in a pair. Noise-canceling earbuds are different from ordinary earbuds in that actively reduce unwanted background sounds using special components. The keyword here is “active”; most earbuds, even the cheapest pair you can get, reduce ambient sounds to a degree simply because of they block your ears and prevent some sounds from getting in. This is called passive noise cancellation. However, this is often not enough especially in places or situations with too-loud noises, which is where noise-canceling earbuds come in. These earbuds come with four main components: a microphone, noise-canceling electronics, speakers, and a battery. The microphone is used to identify external sounds that are categorized as noise. These are then processed by the electronic circuitry, which generate a copy of the noise — albeit one that’s 180 degrees out of phase with the original sound. Basically, the two sound waves have the same frequency and amplitude, but the crests of the external noise align with the troughs of the earbud-produced sound, and the troughs of the external noise align with the crests of the earbud-produced sound. This “cancels” the external sounds and prevents you from hearing them. Once the earbuds’ electronics produce the “fingerprint” sound, these are presented to you through the earbud speakers, along with the audio you want to hear from your smartphone, MP3 player, or other sources. The battery powers the entire setup and allows everything to work properly. Through noise-canceling earbuds, you can now travel on an airplane without having to listen to the engine humming throughout the entire trip. This is also the case if you’re riding a noisy train, car, or bus. Some people use the earbuds to keep noises out while they’re sleeping, which is especially helpful for those who live in a busy city or have partners who snore. However, it’s important to note that not all noise-canceling earbuds are created equal. The best products can reduce overall external noise by 80 decibels or so, while cheaper ones reduce less noise than that. High-quality earbuds also have better signal-to-noise ratio, which means they allow you to hear external sounds that you need to hear, such as announcements in the airport or inside airplanes. There are plenty of noise-canceling earbuds in the market, so choosing the right pair can be a difficult task. You’ll need to take some time to do your research and find the earbuds that best fit your needs and budget. We’ve listed some of the best options to help you get started. 20 HOURS PALYBACK: 300mAh battery life, supports 900 hours standby, 20 hours playback, 15 hours when noise cancelling function is on. With dedicated audio cable in package. Never have to worry about running out of power. They’re not exactly the cheapest products on the market, but the iDeaUSA Bluetooth Active Noise Cancelling Headphones provide excellent noise cancellation without breaking the bank. They connect with your smartphone, tablet, and other devices through Bluetooth 4.1, which means you won’t have to deal with pesky wires and you can focus on enjoying your favorite music or movies. They have a special design that allows you to securely drape them around your neck without having to fear that they’ll fall off. The neckband is made of IPX4 sweatproof materials that don’t easily get damaged by sweat, rain, or accidental splashes and can be simply wiped clean for maintenance. The earbuds come with a switch that you can flick to reduce background noise by up to 85 percent, making them perfect for traveling on planes or working in a busy office. They also come with three built-in buttons that let you switch between calls and music, change the volume, and select tracks you want to listen to, as well as a vibrating call alert that informs you about incoming calls. The earbuds come with a 300 mAh battery that allows them to last for 15 hours on noise cancellation mode, 20 hours on music playback, and 900 hours on standby. There’s no need to worry about having the right fit since the iDeaUSA Bluetooth Active Noise Cancelling Headphones come with three ear sleeves in small, medium, and large sizes. As a result, you can choose the ear sleeve that has the perfect fit and is comfortable for you to use. If you want the best noise-canceling earbuds that money can buy, take a look at the Bose QuietComfort 20 Acoustic Noise Cancelling Headphones. 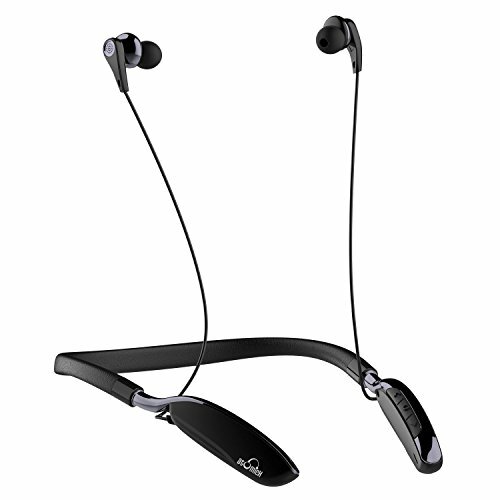 They’re built with excellent noise cancellation technology that effectively shuts out external sounds so you can focus on your music or movie without any distractions. One of the best things about these earphones is that you have the option to turn on full noise cancellation or activate the Aware mode, which lets in important sounds such as flight announcements when you’re traveling by plane or traffic sounds when you’re crossing the street. As a result, you have full control over your audio experience and adjust the settings as you see fit. The Bose QuietComfort 20 Acoustic Noise Cancelling Headphones doesn’t just specialize in noise cancellation — it also offers excellent audio quality through its Active EQ and TriPort technology. 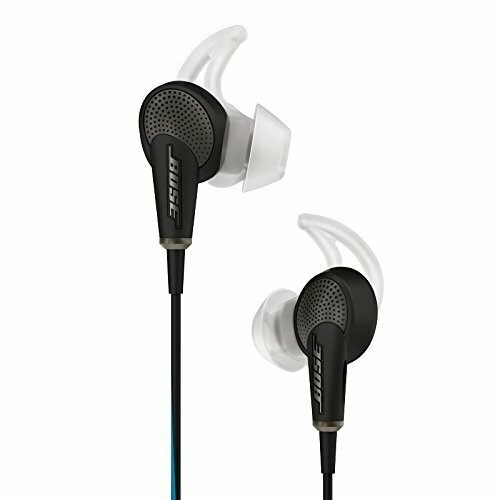 It comes with Bose’s StayHear+ earbuds tips, which provide a secure fit while being soft enough to be comfortable. The earbuds come with an inline microphone as well as a one-touch call answer and end button, which means you can easily switch between your music and incoming calls. They also come with an inline remote, which give you easy access to the Aware mode, the call and music functions, and the on/off functions. What we love about these earbuds is that they have excellent noise cancellation capabilities but don’t drill a hole through your wallet. They come with cutting-edge Active Noise Cancelling technology that allows the earbuds to block up to 90 percent of ambient external sounds. As a result, they can help you relax and focus on what you’re doing. 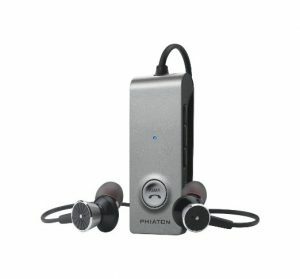 The Phiaton BT 220 NC Wireless Bluetooth 4.0 and Active Noise Cancelling Earphones are built with Bluetooth 4.0 as well as Near-Field Communication (NFC) technology. This means that they can instantly connect to your mobile devices, even when they’re up to 33 feet away. The earbuds can be connected up to two Bluetooth-enabled devices, so you can listen to music on your MP3 player and accept calls on your smartphone in a seamless, streamlined way. They even have Clear Voice Capture (CVC) Technology, which allows other people on the line to hear your voice in a crystal-clear way. 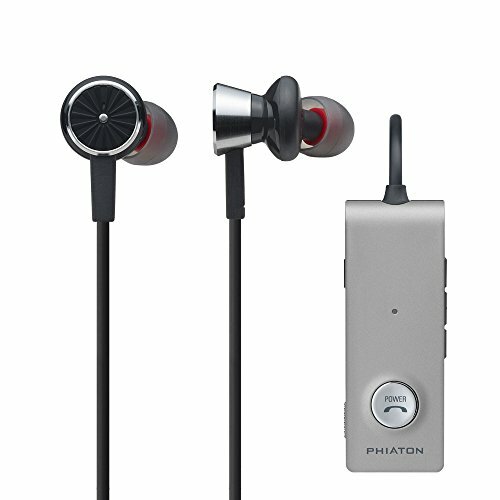 Another great thing about the Phiaton BT 220 NC Wireless Bluetooth 4.0 and Active Noise Cancelling Earphones is that they offer flexibility. If they run out of battery, for example, you can still listen to your music or enjoy hands-free calls with the optional audio cable. This can also be used if you’re using a device that’s not Bluetooth-compatible. You can attach the earbuds to your shirt through the sturdy clip or attach the optional included neck strap to enjoy a secure fit and ensure the earbuds won’t fall off no matter how active you are. Having a pair of noise-canceling earbuds is great if you frequently travel, live in a busy city, or have difficulty sleeping because of a noisy neighborhood or a snoring partner. Just make sure to do your research to find the best pair of earbuds that don’t only fit your budget but also have the features you need for noise-free enjoyment.